No, this is not an article about the different variations of McDonald's. Over the last 60 years, McDonald’s has become synonymous with fast food. While it’s true that in the United States fast food usually means cheeseburgers and fries, Americans aren’t the only people who sometimes need to eat on the go. In fact, unlike the United States, other countries have a whole different way of eating on the go. America has only just caught up with the new food truck-inspired obsession: street food. The traditional way of eating when time is tight, street food had been around long before McDonald’s, Burger King and every other fast food chain came along claiming to revolutionize the food industry. All over the world, different cultures have their own specialties to offer that is often faster, tastier and less processed than any meal McDonald’s has to offer. So while McDonald’s has tried its best to take over the world (with locations in over 100 countries), it hasn’t replaced the delicious food that people around the world have been eating for hundreds of years. Try any of the following popular dishes other cultures call their fast food and you may want to forget the Big Mac altogether. 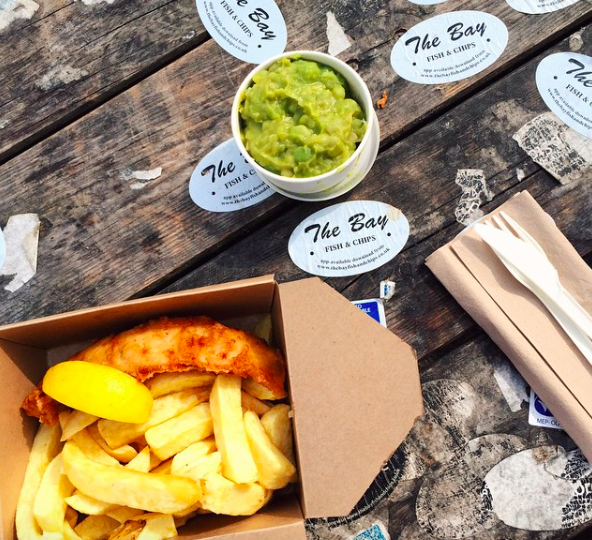 Fish and chips are like the grown up version of chicken nuggets and fries. One of the most popular dishes to get on the go or eat quickly at a pub in England, fish and chips are perfect for people who are hungry but don’t have the patience or time to wait around for their meal. 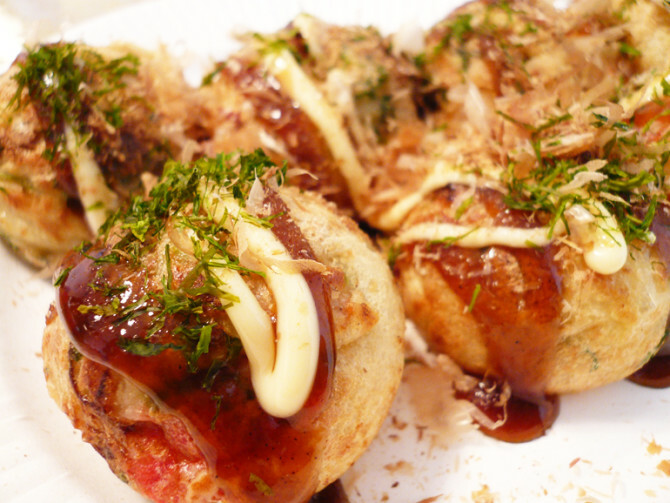 Takoyaki are fried balls of batter filled with octopus and topped with fish flakes and sauce. While the octopus might scare some people away, it actually doesn’t have a strong fish flavor and is something even the most picky people would love. This Japanese dish is popular everywhere in Japan, especially for vendors to sell during carnivals, but is most prevalent in the city of Osaka where it originated. Tacos are one of the best forms of fast food because unlike the plain old cheeseburger, you can really put anything in a taco. Any given taco stand usually has dozens of options to choose from, from the popular carne asada filling to tacos filled with cow tongue or fish. 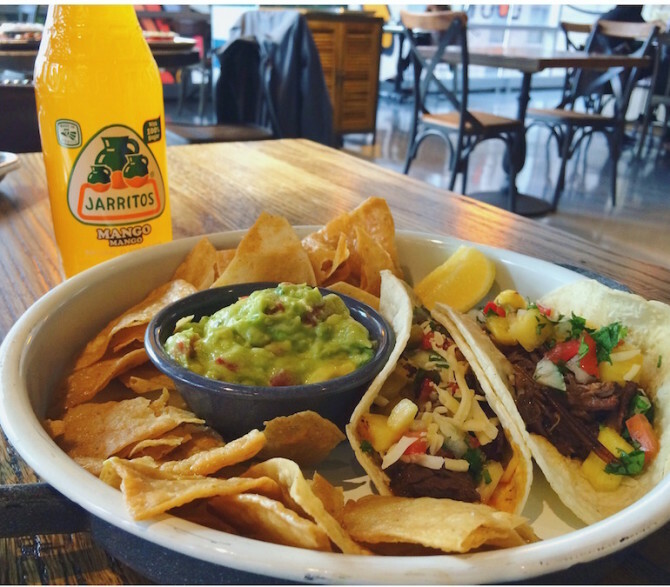 But the best part is that McDonald’s prices have nothing on a taqueria – tacos are not only delicious, but also extremely cheap. Meat on a stick is a version of fast food that the United States really needs to catch on to. Many countries have different variations of this in the form of kebabs, but one of the best is Thailand’s version called satay. 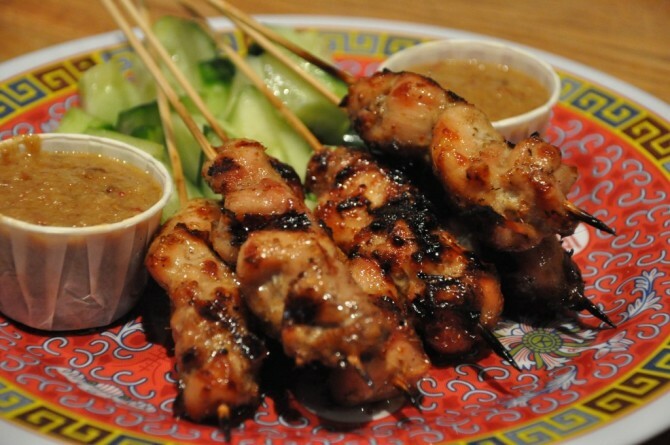 It consists of meat threaded onto a bamboo stick and grilled on an open flame and is usually accompanied by peanut sauce. Pita bread sandwiches are the most common fast food in Israel and many other countries in the Middle East, but the falafel sandwich is probably the most popular. 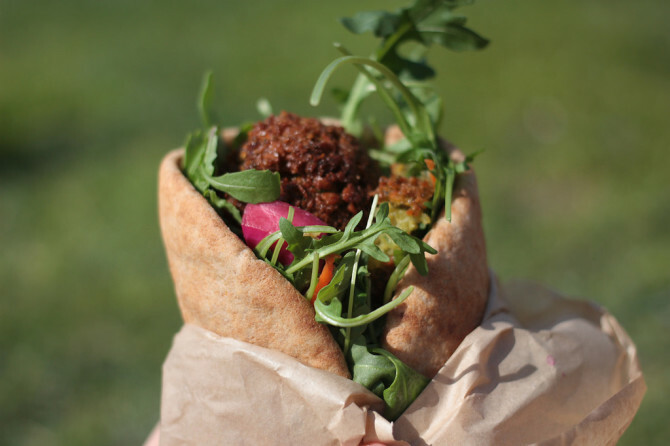 Falafel are made of spiced mashed chickpeas that are formed into balls and deep-fried. Whether the falafel originated in Israel, Pakistan, Jordan or any other Middle Eastern country is unknown, but it’s a popular dish that serves as a quick meal for many of them. 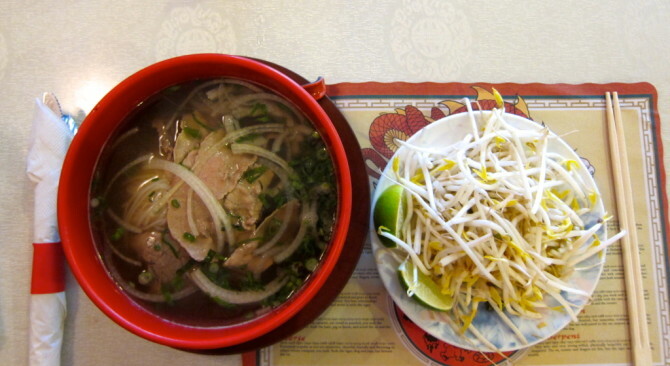 It might be surprising that soup can be considered fast food, but in Vietnam pho is a popular quick meal. Many streets are filled with vendors selling food, and among them are popular makeshift stands where people sit or stand around slurping this delicious soup. If you know any one from El Salvador, you’ve probably heard them talk about this food thousands of times. 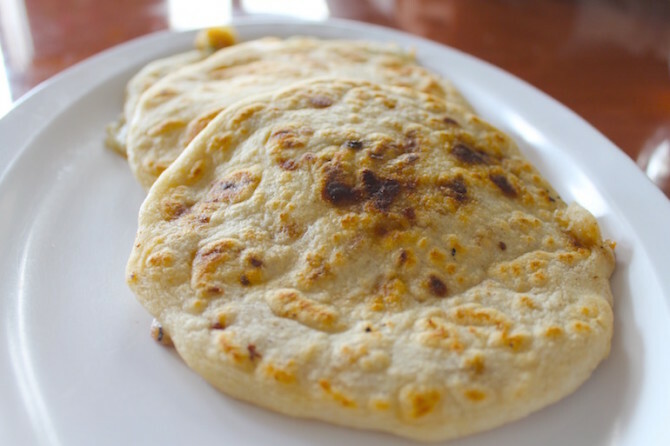 Pupusas are a staple Salvadoran food made out of ground corn flour and stuffed with fillings such as beans and cheese before they are cooked. The quick cooking time makes it a popular item for vendors to sell on the street and a perfect go to meal. Most Latin American countries have their own version of empanadas. As in Argentina, empanadas around Latin America are usually fast food as they taste best fresh out of the oven or fryer, depending on which country you’re in. 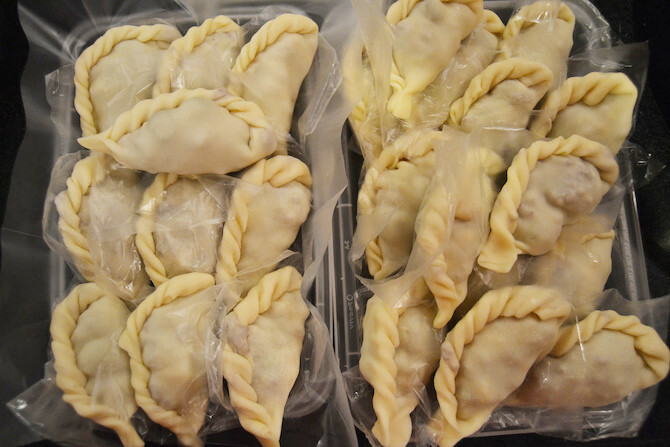 Similar to a turnover, empanadas are made out of dough rolled out into a circle, stuffed with meat, and then folded closed and cooked for a filling but quick meal. Check out this recipe recipe to try out some empanadas for yourself. Although Bratwurst is a common fast food eaten in Germany and one that first comes to mind for many when they think of the country, Doner Kebab is by far the most popular. A product of Turkish migration to Germany after World War II, this tasty treat is similar to the gyro. 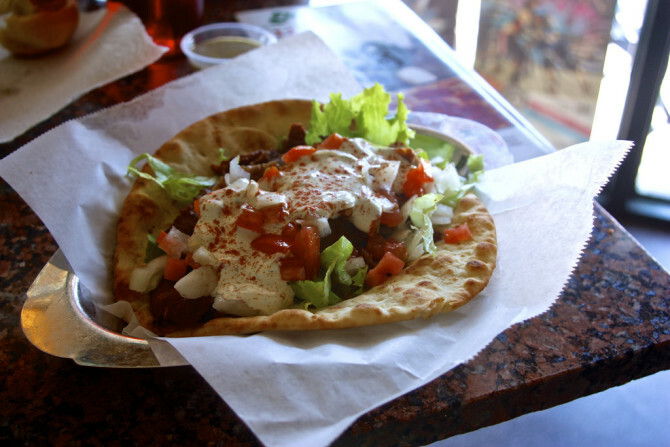 A doner kebab can vary from region to region; some use pita bread and other use panini grilled bread, but all usually consist of vegetables, yogurt sauce and deliciously cooked meat. 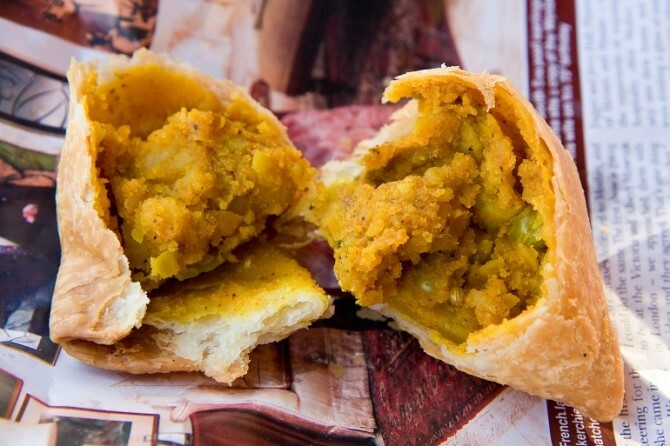 Indian street food is probably the most extensive street food market of any country. It’s almost impossible to pick a favorite since common foods differ from region to region and each offers so much variety that you could eat something different everyday. However, one food common not only in different regions of India but also South Asia and parts of Africa are samosas, which are made from fried dough and usually stuffed with a mixture of seasoned potatoes, peas and onions. 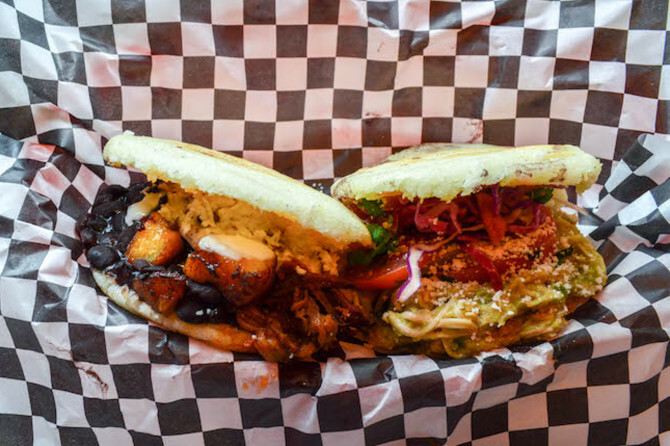 For Venezuela, arepas are the equivalent to the American sandwich or the Mexican taco. They are fried or grilled cornmeal patties opened and stuffed with any manner of fillings. They can be filled with cheese or eggs and eaten for breakfast, or with meat for a quick lunch. Arepas are really the true meaning of fast food as they are filling, super fast and extremely cheap.